This study offers an exclusive class of magnetic nanoparticles supported hyperbranched polyglycerol (MNP/HPG) that was functionalized with citric acid (MNP/HPG-CA) as a host immobilization of palladium nanoparticles. The MNP/HPG-CA/Pd catalyst was fully characterized using some different techniques such as thermogravimetric analysis (TGA), x-ray diffraction (XRD), transmission electron microscopy (TEM), scanning electron microscopy (SEM), energy-dispersive x-ray spectroscopy (EDX), inductively coupled plasma (ICP) and x-ray photoelectron spectroscopy (XPS). The new catalytic system showed high activity for the Suzuki–Miyaura cross-coupling and Heck reaction under mild and green conditions. Besides, the MNP/HPG-CA/Pd was found to be a convenient catalyst for copper-free Sonogashira coupling reaction in water as a green solvent at room temperature. Moreover, the catalyst could be recovered easily and reused several times without significant loss of reactivity. Ease of preparation, oxygen insensitive, phosphine-free, air- and moisture-stable, and high reusability of this immobilized palladium catalyst are the noteworthy advantages of this catalytic system. Palladium catalysis has achieved an impressive place in numerous commercial chemical processes [1-3]. Palladium is actually expensive as gold, however, and this may limit its operation and employment in some cases. Moreover, because of the side effect of heavy metal impurities onmolecular biologicalactivity, palladium contamination of isolated desired product is a significant problem for pharmaceutical industry . To address this issue, palladium has been immobilized on different natural and synthetic supports with the aim of reducing the amount of catalyst and palladium contamination of the isolated products by allowing the palladium species to be separated, recovered, and reused [5-7]. This method would be exceedingly suitable and efficient for industrial purposes and applications as well as performing the reactions in multiple vessels for combinatorial chemical libraries. Numerous research studies have been recently devoted to immobilizing palladium on various support materials such as activated carbon, silica gel, metal oxides, porous aluminosilicates, clays and other inorganic compounds [8-11]. In particular, encapsulation of palladium in nanomaterials containing covalently-bound polymers is an efficient and cost-effective approach to immobilize and retain palladium species [12-16]. During the last years, hyperbranched polyglycerol grafted on solid supports has attracted much attention due to the unique properties such as three-dimensional structure, multiple internal and external functional groups and excellent solubility in water [17-21]. Up to now, hyperbranched polyglycerol polymers was grafted on diverse nanomaterials. Amongst, superparamagnetic oxide nanoparticles have been considered as suitable platform due to easy of surface modification, high surface area and facile recovery [22-26]. However, the use of different hyperbranched derivatives or polymers has rarely reported for immobilization and stabilization of palladium nanoparticles [24, 27, 28]. So, design and preparation of novel series of modified magnetic nanoparticles with hyperbranched polymers for palladium immobilization afford an opportunity to achieve new catalytic systems with practical high-performance engineering applications. In the past decade, the application of encapsulated palladium nanoparticles as catalyst, especially in C-C bond-forming processes, have much lured researchers in modern organic synthesis [29-31]. Among palladium-catalyzed couplings, the Suzuki–Miyaura, Sonogashira, and Heck reactions are the most widely used for the preparation of molecules possessing interesting biological or physical properties [32-40]. Among the various catalytic systems used, phosphine based ligands show excellent activity in this transformation. However, the phosphine based ligands are usually toxic and sensitive to air and moisture restricting their wide spread application. On the other hand, some of the phosphine-free synthetic methods suffer from disadvantages such as high temperature, long reaction times, use of large amounts of palladium and organic solvents. Accordingly, the development of an efficient and eco-friendly method using a reusable and water-soluble catalyst for the synthesis of diverse molecules is still desirable. Besides, in comparison with Suzuki–Miyaura and Heck reactions, little attention has been paid to Sonogashira cross coupling catalyzed by palladium immobilized on polymer supports [41-46]. To the best of our knowledge, no report has been documented on the Sonigashira coupling reaction catalyzed by palladium entrapped on HPG-modified magnetic nanoparticles. Very recently, the MNP/HPG-CA nanocarrier has been reported by our research group and used as a unique platform for biocatalytic systems . In continuation of our efforts on the development of efficient catalytic systems [48-54] and encouraged by the exclusive properties of palladium immobilized on silica encapsulated magnetic nanoparticles grafted hyperbranched polyglycerol, we wish to demonstrate at this time, the preparation and characterization of a new oxygen insensitive, phosphine- free, air- and moisture-stable, and reusable immobilized palladium nanoparticles on citric acid functionalized MNP/HPG (MNP/HPG-CA/Pd) catalyst and its application in C-C coupling reactions via the Suzuki–Miyaura cross-coupling, Heck and Sonogashira reactions under green conditions. The chemicals used in this work were obtained from Merck, Acros and Aldrich chemical companies. FT-IR spectra were recorded on a JASCO 6300 spectrophotometer. 1H NMR (400 MHz) spectra were recorded on a Bruker Avance 400 MHz spectrometer using CDCl3 as solvent. The Pd content of the catalysts was determined by a Jarrell-Ash 1100 ICP analysis. Field Emission Scanning electron microscopy (FE-SEM) was performed on a Hitachi S-4160 field emission-scanning electron microscope. The transmission electron microscopy (TEM) was carried out on a Philips CM30 Transmission Electron Microscope operating at 100 kV. X-ray powder diffraction (XRD) spectra were taken on a Bruker D8-Advance X-ray diffractometer with Cu Kα radiation. The X-ray photoelectron spectroscopy (XPS) measurements were performed using a Gamma data-scienta ESCA200 hemispherical analyzer equipped with an Al (Kα= 1486.6 eV) X-ray source. Thermogravimetric analysis (TGA) was carried out on a Mettler TG50 instrument under air flow at a uniform heating rate of 5 °C/min in the range of 30-600 °C. Substances were identified and quantified by gas chromatography (GC) on an Agilent GC 6890 equipped with a 19096C006 80/100 WHP packed column and a flame ionization detector (FID). A mixture of PdCl2 (240 mg, 1.36 mmol) and NaCl (88 mg, 1.52 mmol) in methanol (8 mL) was stirred at room temperature for 24 h and then filtered. The filtrates were diluted with methanol (40 mL) and MNP/HPG-CA (1 g) was added to this solution. The resulting mixture was stirred at 60 ºC for 24 h. At the end of the reaction, the mixture was cooled to room temperature; sodium acetate (0.76 g, 9.28 mmol) was added and stirred at room temperature for 1 h. The product was collected by a magnet, washed with deionized water several times and finally with methanol, and dried under vacuum. A mixture of aryl halide (1 mmol), arylboronic acid (1 mmol), K2CO3 (1 mmol) and MNP/HPG-CA/Pd (0.05 mol% Pd) in 2 mL of DMF/H2O (3:1) was stirred at 50°C. The reaction progress was monitored by GC. After completion of the reaction, the reaction mixture was cooled to room temperature, and the catalyst was separated by a magnet and washed with diethyl ether (2×10 mL), deionized water (2×10 mL), and then dried under vacuum for the next run. The coupling products were obtained after addition of water (10 ml) to the filtrates and extraction with diethyl ether (2×10 mL) (Table 2). A mixture of aryl halides (1mmol), styrene (1 mmol), K2CO3 (1 mmol) and the catalytic amount of catalyst (0.08 mol% Pd) in DMF (2 mL) was stirred at 80 °C. The progress of the reaction was monitored by GC. At the end of the reaction, the mixture was cooled to room temperature. The catalyst recovery and isolation of the products were done as described above (Table 4). A mixture of aryl halide (1.0 mmol), aryl or alkyl acetylene (1.1 mmol), K2CO3 (1 mmol) and MNP/HPG-CA/Pd (0.05 mol% Pd) in 2 mL of H2O was stirred at room temperature. The reaction progress was monitored by GC. After the reaction was completed, ethyl acetate (15 mL) was added, and the catalyst was separated by a magnet. The organic phase was washed with H2O (2 × 10 mL), and dried with anhydrous MgSO4, and the solvents were evaporated. The residue was recrystallized from ether and ethyl acetate (3:1) to give the pure product (Table 6). In the recyclability experiment, a mixture of iodobenzene (1.0 mmol), phenylacetylene (1.1 mmol), K2CO3 (1 mmol) and MNP/HPG-CA/Pd (0.05 mol% Pd) in 2 mL of H2O was stirred at room temperature for 5 hours. At the end of each reaction, the catalyst was separated by a magnet and washed with diethyl ether (2×10 mL), deionized water (2×10 mL), and then dried under vacuum before using in the next run. The recovered catalyst was used with fresh starting materials. The preparation strategy for the MNP/HPG-CA/Pd catalyst is shown in Scheme 1. First, iron oxide magnetic nanoparticles (Fe3O4) were prepared by co-precipitation method using a procedure in the literature [55, 56]. This protocol is one of the convenient and simple methods for the large-scale synthesis of Fe3O4. Next, the prepared nanoparticles were coated by silica using Stöber method to obtain core-shell magnetic nanoparticles . According to the process by hydrolysis and then condensation of tetraethyl orthosilicate (TEOS) the silica layer is formed on Fe3O4. Subsequently, hyperbranched polyglycerol grafted on MNP (MNP/HPG) was prepared according to the literature.8 Then, the multifunctionalized hyperbranched polymer grafted on magnetic nanoparticles was prepared as described previously  by modification of MNP/HPG with 2,4-toluenediisocyanate (TDI) and citric acid (CA), respectively. The thermal gravimetric analysis (TGA) technique was used to measure organic content of the modified nanoparticles (Fig. 1). The TGA showed a slight weight loss below 200 °C in all cases, which was attributed to the loss of physisorbed water from the samples. The weight loss from the samples in the range 200-700 °C on the thermogravimetric traces was attributed mainly to the loss of organic groups. In this temperature range, only 4 wt% weight loss was observed for MNP. While after the polymerization and post-functionalization, the weight losses from MNP/HPG and MNP/HPG-CA were 25.2 and 41.4 wt%, respectively. These observations confirmed the successful synthesis of MNP/HPG-CA. As shown in Scheme 1, the palladium nanoparticles immobilized on citric acid functionalized MNP/HPG (MNP/HPG-CA/Pd) were prepared by reduction of Na2Pd2Cl4 (prepared in situ from PdCl2 and NaCl) in methanol at 60 °C in the presence of MNP/HPG-CA. The loading amount of Pd, determined by ICP analysis, was found to be about 0.254 mmolg-1 of MNP/HPG-CA/Pd. The XRD patterns of the catalyst were shown in Fig. 2. As can be seen, the characteristic diffraction peaks at 2θ = 30.09, 35.44, 43.07, 53.43, 56.96 and 62.55 are in agreement with face centered cubic (fcc) of Fe3O4. Furthermore, the presence of the characteristic diffraction peaks (2θ = 32.01, 40.11, 47.53 and 51.23) corresponding to palladium, confirmed the presence of palladium on catalyst. Since the XRD patterns of magnetite and maghemite are highly similar, X-ray photoelectron spectroscopy (XPS) measurement has to be checked to clearly assign the crystal phase, because XPS is very sensitive to Fe2+and Fe3+species . The characteristic XPS spectra of nanoparticles indicates (Fig. 3a) that the levels of Fe (2p3/2) and Fe(2p1/2) are 710.9 and 724.5 eV. It is corresponding to the literature that the peaks shift to high binding energy and broaden for Fe3O4 owing to the appearance of Fe2+(2p3/2) and Fe2+(2p1/2). This result clearly indicates the formation of a mixed oxide of Fe(II) and Fe(III), namely Fe3O4. Additionally, in the XPS of MNP/HPG-CA/Pd, the 3d5/2 and 3d3/2 peaks of Pd0 appear at 335.58 and 339.85eV, respectively (Fig. 3b). It is important to note that no evident peak of Pd2+ is observed, indicating that palladium is in the reduced form. The peaks corresponding to iron, oxygen, carbon, nitrogen, and palladium are also clearly observed in XPS elemental investigation of the catalyst (Fig. 3c). The morphology of the surface of catalyst was directly visualized by field emission scanning electron microscopy (FE-SEM) (Fig. 4). As can be seen, particles are spherical and have diameters in the range of nanometre. Furthermore, the energy dispersive X-ray spectroscopy (EDS) results, obtained from SEM analysis for MNP/HPG-CA and MNP/HPG-CA/Pd are shown in Figs. 3c and d, which clearly show the presence of Pd nanoparticles in the MNP/HPG-CA/Pd catalyst. Further characterization of the catalyst was performed by TEM. Fig. 5 clearly exposed that Fe3O4 nanoparticles have been successfully covered by the polymer shell. The dark core corresponds to magnetic nanoparticles while the light shell attributes to polymer shell. Also, the TEM images showed that the spherical Pd particles have been dispersed in MNP/HPG-CA. Initially, the reaction parameters such as kind of solvent, temperature, kind of base and amount of catalyst were optimized in the Suzuki-Miyaura cross-coupling of 4-iodotoluene with phenylboronic acid. The results are summarized in Table 1. The model reaction was first performed in the presence of different organic and inorganic bases including DBU, Et3N, NaOH, NaHCO3, K3PO4 and K2CO3. Among the screened bases, K2CO3 was found to be the most appreciate base. Then, the same reaction was carried out in different single and mixed solvents. Among the solvents examined, DMF/H2O (3:1) was proved to be the best reaction medium. Also, the model reaction was conducted at different temperatures. Base on the obtained results, the optimum reaction temperature was found to be 50 °C. The effect of the amount of catalyst on the model reaction was also explored. As can be seen from Table 1, the best result was obtained in the presence of 0.05 mol% of Pd catalyst. Therefore, we concluded that 0.05 mol% of the catalyst in DMF/H2O (3:1) at 50 °C are the most appropriate reaction conditions for the Suzuki–Miyaura cross-coupling reaction. It is noteworthy that the model reaction was also carried out under argon and oxygen atmosphere; the results were comparable to that obtained in an open system (Table 1, entries 16 and 17), which obviously reveals that MNP/HPG-CA/Pd is a stable and oxygen-insensitive catalyst. Under the optimized reaction conditions, Suzuki-Miyaura cross-coupling of aryl halides with arylboronic acids in the presence of MNP/HPG-CA/Pd was investigated. The results, shown in Table 2, indicated that MNP/HPG-CA/Pd is an efficient catalyst for the Suzuki-Miyaura cross-coupling reaction, and that the biphenyl derivatives are produced in good to excellent yields. As expected, iodobenzenes are more reactive than bromobenzenes. It is noteworthy to mention that aryl chlorides usually are cheaper, more readily accessible and practical but less reactive than aryl iodides and bromides. Due to lower reactivity, the coupling reactions with aryl chlorides have been generally investigated using a higher amount of catalyst and under harsh conditions [60-65]. In order to further explore the applicability of this method, the cross-coupling of aryl chlorides with arylboronic acids was also checked under the same conditions. As shown, reaction of aryl chlorides with phenylboronic acid and 4-methoxyphenylboronic acid (Table 2, entries 12 - 15) proceeded smoothly in the presence of the same catalyst amount as used for aryl iodides and bromides (0.05 mol% Pd) at 50 °C, resulting in the desired cross-coupling products in high yields (81-87%) within 100 min. The high efficiency of this catalyst in the Suzuki-Miyaura cross-coupling reactions encouraged us to investigate the potential of the catalyst in the Heck reaction of aryl halides with styrene. To find the optimal experimental conditions in the Heck reaction of aryl halides with styrene catalyzed by MNP/HPG-CA/Pd catalyst, the reaction of 4-iodotoluene with styrene was considered as a model reaction. The effect of base and solvent, temperature and catalyst amount were carefully examined. The results, summarized in Table 3, showed that the highest yield is obtained using 4-iodotoluene (1 mmol), styrene (1 mmol), K2CO3 (1 mmol) and MNP/HPG-CA/Pd (0.08 mol% Pd) in DMF at 80 °C. Under the optimized reaction conditions, the catalyst was applied in the reaction of different aryl halides with styrene, and the corresponding stilbene derivatives were obtained in good to excellent yields (Table 4). As expected, aryliodides and bromides were more reactive than arylchlorides. Over the last years, many efforts have been made to study such C-C coupling in the absence of copper. Furthermore, while Sonogashira couplings in polar mixed aqueous medium, in the presence of organic bases and under inert atmosphere are common, in this paper, we describe a novel method that allows amine-free condition in water alone [45, 66-69]. Sonogashira coupling was investigated to perform under amine- and copper-free condition using commercially available reagents. To find the optimal reaction conditions, we examined the Sonogashira cross-coupling reaction between iodobenzene and phenylacetylene in the presence of the MNP/HPG-CA/Pd catalyst in H2O as a model reaction. In this regard, the effects of the reaction conditions such as the type of base, temperature and catalyst amount were screened and a summary of the optimization experiments is provided in Table 5. Initially, some bases including K2CO3, Na2CO2, Et3N, NaOH and K3PO4 were tested in the model reaction and K2CO3 was selected as the best one. Also, the effects of the amount of catalyst were also explored; while with increasing the amount of the catalyst, the yield of the desired product did not further increase (Table 5, entry 6), the yield decreased obviously with decreasing this parameter, (Table 5, entry 7). Furthermore, rising the reaction temperature to 80 °C did not affect the reaction time. Therefore, we concluded that 0.05 mol% of the catalyst, K2CO3 as the base, in H2O at room temperature, is the most convenient reaction condition for this transformation. To survey the scope and versatility of MNP/HPG-CA/Pd in the Sonogashira reaction, diverse aryl halides were coupled with aromatic and aliphatic terminal alkynes under the optimal reaction conditions. As shown in Table 6, aryl iodide and bromide gave desired products in high yields and in reasonable reaction times (5-12 h) (entries 1-7). Moreover, this is an appropriate method for activated and deactivated aryl chlorides in reaction with aryl acetylenes to give desired products in 81–90% yields (Table 6, entries 9-11) under the same conditions, however these reactions required longer times. To show the efficiency and the reactivity of MNP/HPG-CA/Pd catalytic system compared to some of those reported using Pd-based nanoparticle catalysts. The comparison of MNP/HPG-CA/Pd with some reported nanocatalytic systems for the Sonogashira reaction is presented in Table 7. As shown in Table 7, our method is superior to some results from the literature in terms of the reaction condition, reaction time, yield and turnover frequency (TOF). The importance of using heterogeneous catalysts is due to their application in industry. Additionally, the recycling and reusability of heterogeneous catalysts are very important from practical, economical and environmental points of view. Therefore, the recovery and reusability of the novel magnetic supported catalyst, was examined in the Sonogashira reaction of iodbenzene with phenylacetylene as model reaction. In each cycle, the catalytic system can be easily recovered and separated from the reaction mixture by using a magnet, and used in the next run after washing with water, diethyl ether and drying. The results showed that the catalyst could be reused for several times without a significant loss of activity (Fig. 6). The analysis of palladium leaching from the catalyst by ICP indicated that only a trace amount of palladium has been leached out from the catalyst surfaces after eight cycles. The amount of palladium leached was determined by ICP-OES. The result of ICP analysis for the reaction showed no palladium species. To establish the heterogeneity of the C-C cross coupling reaction, a hot filtering test was performed for the Heck reaction between 4-iodotoluene and styrene at 80 °C as model reaction . The MNP/HPG-CA/Pd was isolated by magnet at 80 °C after 30 min and mixture of reaction was stirred, but no further progress was observed. In summary, we have demonstrated a novel phosphine-free magnetic support for immobilization of the Pd nanoparticles. The catalytic system is air- and moisture-stable, oxygen-insensitive and highly reusable. Also, because of the numerous functional groups of support, compared to other magnetic Pd-loaded catalyst reported in literature, MNP/HPG-CA/Pd showed greatly high loading capacity of the Pd nanoparticles with extraordinary dispersion. The catalyst showed high catalytic activity for the C-C cross-coupling reactions under mild and green conditions. In particular, the catalyst can be easily recovered by using an external magnet and reused for several times, with negligible Pd leaching to the solution. Compared to the conventional separation procedures used for the recovery of solids, such as filtration and centrifugation, this method is an economic and environmentally-benign process. Besides, this system avoided the use of phosphine ligands which are dangerous for environment. We expect that this novel catalyst has more wide applications in Pd-catalyzed reactions. Additionally, these magnetic supports can be also utilized as a highly efficient adsorbent for various species such as metal ions and dyes, thus they will also find important applications in environmental technology and biotechnology. The support of this work by the Research Council of the University of Isfahan is acknowledged. Tsuji J. Palladium reagents and catalysts: Wiley & sons; 1995. Tsuji J. Palladium reagents and catalysts: new perspectives for the 21st century: John Wiley & Sons; 2006. Hickman AJ, Sanford MS. High-valent organometallic copper and palladium in catalysis. Nature. 2012; 484 (7393): 177-85. Torborg C, Beller M. Recent Applications of Palladium‐Catalyzed Coupling Reactions in the Pharmaceutical, Agrochemical, and Fine Chemical Industries. Adv. Synth. Catal. 2009; 351 (18): 3027-43. Pagliaro M, Pandarus V, Ciriminna R, Beland F, Demma Carà P. Heterogeneous versus Homogeneous Palladium Catalysts for Cross‐Coupling Reactions. ChemCatChem. 2012; 4 (4): 432-45. Shylesh S, Schünemann V, Thiel WR. Magnetisch abtrennbare Nanokatalysatoren: Brücken zwischen homogener und heterogener Katalyse. Angew. Chem. 2010; 122 (20): 3504-37. Opanasenko M, Stepnicka P, Cejka J. Heterogeneous Pd catalysts supported on silica matrices. RSC Adv. 2014; 4 (110): 65137-62. Hong MC, Ahn H, Choi MC, Lee Y, Kim J, Rhee H. Pd nanoparticles immobilized on PNIPAM–halloysite: highly active and reusable catalyst for Suzuki–Miyaura coupling reactions in water. Appl. Organometal. Chem. 2014; 28 (3): 156-61. Burda C, Chen X, Narayanan R, El-Sayed MA. Chemistry and Properties of Nanocrystals of Different Shapes. Chem. Rev. 2005; 105 (4): 1025-102. Cai M, Peng J, Hao W, Ding G. A phosphine-free carbonylative cross-coupling reaction of aryl iodides with arylboronic acids catalyzed by immobilization of palladium in MCM-41. Green Chem. 2011; 13 (1): 190-6. Yin, Liebscher J. Carbon−Carbon Coupling Reactions Catalyzed by Heterogeneous Palladium Catalysts. Chem. Rev. 2007; 107 (1): 133-73. Andres R, de Jesus E, Flores JC. Catalysts based on palladium dendrimers. New J. Chem. 2007; 31 (7): 1161-91. Stevens PD, Fan J, Gardimalla HM, Yen M, Gao Y. Superparamagnetic nanoparticle-supported catalysis of Suzuki cross-coupling reactions. Org. Lett. 2005; 7 (11): 2085-8. Mei Y, Lu Y, Polzer F, Ballauff M, Drechsler M. Catalytic activity of palladium nanoparticles encapsulated in spherical polyelectrolyte brushes and core-shell microgels. Chem. Mater. 2007; 19 (5): 1062-9. Wang D, Liu W, Bian F, Yu W. Magnetic polymer nanocomposite-supported Pd: an efficient and reusable catalyst for the Heck and Suzuki reactions in water. New J. Chem. 2015; 39 (3): 2052-9. Kurniasih IN, Keilitz J, Haag R. Dendritic nanocarriers based on hyperbranched polymers. Chem. Soc. Rev. 2015; 44 (12): 4145-64. Wang D, Zhao T, Zhu X, Yan D, Wang W. Bioapplications of hyperbranched polymers. Chem. Soc. Rev. 2015; 44 (12): 4023-71. Zheng Y, Li S, Weng Z, Gao C. Hyperbranched polymers: advances from synthesis to applications. Chem. Soc. Rev. 2015; 44 (12): 4091-130. Haag R. Dendrimers and hyperbranched polymers as high‐loading supports for organic synthesis. Chem. Eur. J. 2001; 7 (2): 327-35. Tabuani D, Monticelli O, Chincarini A, Bianchini C, Vizza F, Moneti S, et al. Palladium nanoparticles supported on hyperbranched aramids: Synthesis, characterization, and some applications in the hydrogenation of unsaturated substrates. Macromolecules. 2003; 36 (12): 4294-301. Schlotterbeck U, Aymonier C, Thomann R, Hofmeister H, Tromp M, Richtering W, et al. Shape‐Selective Synthesis of Palladium Nanoparticles Stabilized by Highly Branched Amphiphilic Polymers. Adv. Funct. Mater. 2004; 14 (10): 999-1004. Wang L, Su D, Jiang L, Feng X. Nano-Size Effect of Hyperbranched Polyglycerol-Grafted Fe3O4 Nanoparticles. Soft Mater. 2014; 12 (3): 306-14. Wang L, Neoh K, Kang E, Shuter B, Wang SC. Superparamagnetic Hyperbranched Polyglycerol‐Grafted Fe3O4 Nanoparticles as a Novel Magnetic Resonance Imaging Contrast Agent: An In Vitro Assessment. Adv. Funct. Mater. 2009; 19 (16): 2615-22. Zhao L, Chano T, Morikawa S, Saito Y, Shiino A, Shimizu S, et al. Hyperbranched polyglycerol‐grafted superparamagnetic iron oxide nanoparticles: synthesis, characterization, functionalization, size separation, magnetic properties, and biological applications. Adv. Funct. Mater. 2012; 22 (24): 5107-17. Wang L, Neoh KG, Kang E-T, Shuter B. Multifunctional polyglycerol-grafted Fe3O4@SiO2 nanoparticles for targeting ovarian cancer cells. Biomaterials. 2011; 32 (8): 2166-73. Zhou L, Gao C, Xu W. Magnetic Dendritic Materials for Highly Efficient Adsorption of Dyes and Drugs. ACS Appl. Mater. Interfaces. 2010; 2 (5): 1483-91. Zhou L, Gao C, Xu W. Robust Fe3O4/SiO2-Pt/Au/Pd magnetic nanocatalysts with multifunctional hyperbranched polyglycerol amplifiers. Langmuir. 2010; 26 (13): 11217-25. Li W, Tian Y, Zhang B, Tian L, Li X, Zhang H, et al. Fabrication of a Fe3O4@SiO2@mSiO2-HPG-COOH-Pd(0) supported catalyst and its performance in catalyzing the Suzuki cross-coupling reaction. New J. Chem. 2015; 39 (4): 2767-77. Liu P, Dong Z, Ye Z, Wang W-J, Li B-G. A conveniently synthesized polyethylene gel encapsulating palladium nanoparticles as a reusable high-performance catalyst for Heck and Suzuki coupling reactions. J. Mater. Chem. A. 2013; 1 (48): 15469-78. Shang N, Gao S, Zhou X, Feng C, Wang Z, Wang C. Palladium nanoparticles encapsulated inside the pores of a metal–organic framework as a highly active catalyst for carbon–carbon cross-coupling. RSC Adv. 2014; 4 (97): 54487-93. Natour S, Abu-Reziq R. Immobilization of palladium catalyst on magnetically separable polyurea nanosupport. RSC Adv. 2014; 4 (89): 48299-309. Negishi Ei. Overview of the Negishi protocol with Zn, Al, Zr, and related metals. Handbook of organopalladium chemistry for organic synthesis. 2002: 229-47. Miyaura N. Metal‐Catalyzed Cross‐Coupling Reactions of Organoboron Compounds with Organic Halides. Metal-Catalyzed Cross-Coupling Reactions, Second Edition. 2008: 41-123. Nicolaou KC, Bulger PG, Sarlah D. Palladium-Catalyzed Cross-Coupling Reactions in Total Synthesis. Angew. Chem. Int. Ed. 2005; 44 (29): 4442-89. Johansson Seechurn CC, Kitching MO, Colacot TJ, Snieckus V. Palladium‐Catalyzed Cross‐Coupling: A Historical Contextual Perspective to the 2010 Nobel Prize. Angew. Chem. Int. Ed. 2012; 51 (21): 5062-85. Molnár Ard. Efficient, selective, and recyclable palladium catalysts in carbon− carbon coupling reactions. Chem. Rev. 2011; 111 (3): 2251-320. Negishi E-i, Anastasia L. Palladium-catalyzed alkynylation. Chem. Rev. 2003; 103 (5): 1979-2018. Balanta A, Godard C, Claver C. Pd nanoparticles for C–C coupling reactions. Chem. Soc. Rev. 2011; 40 (10): 4973-85. Beletskaya IP, Cheprakov AV. The Heck reaction as a sharpening stone of palladium catalysis. Chem. Rev. 2000; 100 (8): 3009-66. Shaughnessy KH. Palladium-catalyzed modification of unprotected nucleosides, nucleotides, and oligonucleotides. Molecules. 2015; 20 (5): 9419-54. Lamblin M, Nassar‐Hardy L, Hierso JC, Fouquet E, Felpin FX. Recyclable heterogeneous palladium catalysts in pure water: Sustainable developments in Suzuki, Heck, Sonogashira and Tsuji–Trost reactions. Adv. Synth. Catal. 2010; 352 (1): 33-79. Kim J-H, Lee D-H, Jun B-H, Lee Y-S. Copper-free Sonogashira cross-coupling reaction catalyzed by polymer-supported N-heterocyclic carbene palladium complex. Tetrahedron Lett. 2007; 48 (40): 7079-84. Datta A, Ebert K, Plenio H. Nanofiltration for homogeneous catalysis separation: soluble polymer-supported palladium catalysts for Heck, Sonogashira, and Suzuki coupling of aryl halides. Organometallics. 2003; 22 (23): 4685-91. Heuzé K, Méry D, Gauss D, Blais JC, Astruc D. Copper‐Free Monomeric and Dendritic Palladium Catalysts for the Sonogashira Reaction: Substituent Effects, Synthetic Applications, and the Recovery and Re‐Use of the Catalysts. Chem. Eur. J. 2004; 10 (16): 3936-44. Chinchilla R, Najera C. Recent advances in Sonogashira reactions. Chem. Soc. Rev. 2011; 40 (10): 5084-121. Reddy KR, Kumar NS, Reddy PS, Sreedhar B, Kantam ML. Cellulose supported palladium (0) catalyst for Heck and Sonogashira coupling reactions. J. Mol. Catal. A: Chem. 2006; 252 (1): 12-6. Landarani-Isfahani A, Taheri-Kafrani A, Amini M, Mirkhani V, Moghadam M, Soozanipour A, et al. Xylanase immobilized on novel multifunctional hyperbranched polyglycerol-grafted magnetic nanoparticles: an Efficient and Robust Biocatalyst. Langmuir. 2015; 31 (33): 9219-27. Isfahani AL, Mohammadpoor‐Baltork I, Mirkhani V, Khosropour AR, Moghadam M, Tangestaninejad S, et al. Palladium nanoparticles immobilized on nano‐silica triazine dendritic polymer (Pdnp‐nSTDP): An efficient and reusable catalyst for Suzuki–Miyaura cross‐coupling and Heck reactions. Adv. Synth. Catal. 2013; 355 (5): 957-72. Kardanpour R, Tangestaninejad S, Mirkhani V, Moghadam M, Mohammadpoor-Baltork I, Khosropour AR, et al. Highly dispersed palladium nanoparticles supported on amino functionalized metal-organic frameworks as an efficient and reusable catalyst for Suzuki cross-coupling reaction. J. Organomet. Chem. 2014; 761: 127-33. Tavassoli M, Landarani-Isfahani A, Moghadam M, Tangestaninejad S, Mirkhani V, Mohammadpoor-Baltork I. Polystyrene-supported ionic liquid copper complex: A reusable catalyst for one-pot three-component click reaction. Appl. Catal. A: Gen. 2015; 503: 186-95. Zarnegaryan A, Moghadam M, Tangestaninejad S, Mirkhani V, Mohammdpoor-Baltork I. A graphene oxide immobilized Cu (II) complex of 1, 2-bis (4-aminophenylthio) ethane: an efficient catalyst for epoxidation of olefins with tert-butyl hydroperoxide. New J. Chem. 2016; 40 (3): 2280-6. Pahlevanneshan Z, Moghadam M, Mirkhani V, Tangestaninejad S, Mohammadpoor-Baltork I, Rezaei S. Suzuki-Miyaura C-C coupling reactions catalysed by a homogeneous and nanosilica supported palladium(ii) N-heterocyclic carbene complex derived from 3,5-di(1-imidazolyl)pyridine. New J. Chem. 2015; 39 (12): 9729-34. Pahlevanneshan Z, Moghadam M, Mirkhani V, Tangestaninejad S, Mohammadpoor–Baltork I, Loghmani-Khouzani H. A new N–heterocyclic carbene palladium complex immobilized on nano silica: An efficient and recyclable catalyst for Suzuki–Miyaura C C coupling reaction. J. Organomet. Chem. 2016; 809: 31-7. Daneshvar A, Moghadam M, Tangestaninejad S, Mirkhani V, Mohammadpoor-Baltork I, Khalili A. Ruthenium Hydride Complex Supported on Gold Nanoparticle Cored Triazine Dendrimers for C–C Coupling Reactions. Organometallics. 2016; 35: 1747–1755. Liu X, Ma Z, Xing J, Liu H. Preparation and characterization of amino–silane modified superparamagnetic silica nanospheres. J. Magn. Magn. Mater. 2004; 270 (1): 1-6. Park J, An K, Hwang Y, Park J-G, Noh H-J, Kim J-Y, et al. 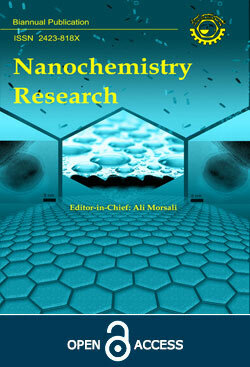 Ultra-large-scale syntheses of monodisperse nanocrystals. Nat. Mater. 2004; 3 (12): 891-5. Stöber W, Fink A, Bohn E. Controlled growth of monodisperse silica spheres in the micron size range. J. Colloid Interface Sci. 1968; 26 (1): 62-9. Bernini R, Cacchi S, Fabrizi G, Forte G, Petrucci F, Prastaro A, et al. Perfluoro-tagged, phosphine-free palladium nanoparticles supported on silica gel: application to alkynylation of aryl halides, Suzuki–Miyaura cross-coupling, and Heck reactions under aerobic conditions. Green Chem. 2010; 12 (1): 150-8. Teng X, Black D, Watkins NJ, Gao Y, Yang H. Platinum-maghemite core-shell nanoparticles using a sequential synthesis. Nano Lett. 2003; 3 (2): 261-4. Deng CL, Guo SM, Xie YX, Li JH. Mild and Ligand‐Free Palladium‐Catalyzed Cross‐Couplings between Aryl Halides and Arylboronic Acids for the Synthesis of Biaryls and Heterocycle‐Containing Biaryls. Eur. J. Org. Chem. 2007; 2007 (9): 1457-62. Kostas ID, Steele BR, Terzis A, Amosova SV, Martynov AV, Makhaeva NA. New Palladium Complexes with S‐or Se‐Containing Schiff‐Base Ligands as Efficient Catalysts for the Suzuki–Miyaura Cross‐Coupling Reaction of Aryl Bromides with Phenylboronic Acid under Aerobic Conditions. Eur. J. Inorg. Chem. 2006; 2006 (13): 2642-6. Luo Q, Eibauer S, Reiser O. Novel bis (oxazole) pincer ligands for catalysis: Application in Suzuki-Miyaura cross coupling reactions under aerobic conditions. J. Mol. Catal. A: Chem. 2007; 268 (1): 65-9. Kostas ID, Andreadaki FJ, Kovala-Demertzi D, Prentjas C, Demertzis MA. Suzuki–Miyaura cross-coupling reaction of aryl bromides and chlorides with phenylboronic acid under aerobic conditions catalyzed by palladium complexes with thiosemicarbazone ligands. Tetrahedron lett. 2005; 46 (12): 1967-70. Mino T, Shirae Y, Sakamoto M, Fujita T. Phosphine-free hydrazone-Pd complex as the catalyst precursor for a Suzuki-Miyaura reaction under mild aerobic conditions. J. Org. Chem. 2005; 70 (6): 2191-4. Corma A, García H, Leyva A. Polyethyleneglycol as scaffold and solvent for reusable C C coupling homogeneous Pd catalysts. J. Catal. 2006; 240 (2): 87-99. Gogoi A, Dewan A, Bora U. A highly efficient copper and ligand free protocol for the room temperature Sonogashira reaction. RSC Adv. 2015; 5 (1): 16-9. Heuze K, Mery D, Gauss D, Astruc D. Copper-free, recoverable dendritic Pd catalysts for the Sonogashira reaction. Chem. Commun. 2003 (18): 2274-5. Khalafi-Nezhad A, Panahi F. Immobilized palladium nanoparticles on a silica–starch substrate (PNP–SSS): as an efficient heterogeneous catalyst for Heck and copper-free Sonogashira reactions in water. Green Chem. 2011; 13 (9): 2408-15. Li P, Wang L, Li H. Application of recoverable nanosized palladium (0) catalyst in Sonogashira reaction. Tetrahedron. 2005; 61 (36): 8633-40. Tang DTD, Collins KD, Ernst JB, Glorius F. Pd/C as a Catalyst for Completely Regioselective C−H Functionalization of Thiophenes under Mild Conditions. Angew. Chem. Int. Ed. 2014; 53 (7): 1809-13.